It is a mild late spring evening, cooler than of late, but there is still warmth in the gentle breeze. I have 5 minutes to change and saddle up before meeting mates who are currently going through exactly the same post-work ritual. Knee pads, SPD shoes, Camelbak, helmet are thrown in the dusty Ikea blue bag. Time to get changed. Capilene, Coolmax, X-bionic, 100% polyester, Lycra, anti-bacterial, Spandex, wicking, compression, Roubaix, performance, fitted, base layer, technical, breathable, thermal, cooling, Windstopper, Pertex, flat seams, bonded fabrics, contoured, stretch, zips, pockets, Lifa, smelly Helly, even good old natural merino, and weirdy hippy hemp and bamboo fabrics. Screw you all. I don’t need thermal properties. I’m going for a social rides with mates. It’s a warm evening. I’m not going to die of hypothermia. I don’t need to wear something that looks like it’s been spray painted on to me. I laugh in the face of aerodynamics. I’m not racing. I don’t need pockets. I don’t care if I end up a little damp and sweaty. I don’t need layers. I don’t care if I don’t look like a cyclist, or mountain biker, or Outdoors Consumer. I pull on a favourite, bright, cotton t-shirt. I’m ready to ride (ok, I also put on a pair of shorts). Cotton. The least practical of all the fabrics. Read the right (wrong) magazines and you’d be forgiven for thinking that you might die if you dare set foot outside of your house wearing something so, so untechnical. You are one of those irresponsible people that Mountain Rescue are hoovering off Snowdon in the middle of winter, with a Greggs pasty in a carrier bag and 5 inch heels. There is also a risk that you might pass for a Normal Person. 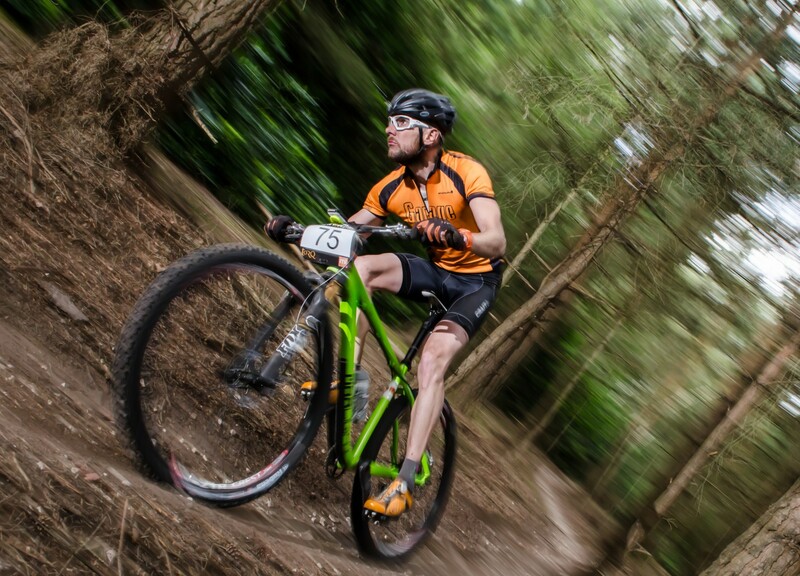 Where is your badge that says “I’m a rufty-tufty mountain biker”? Grrrr. Now, I am aware of the contradictions in what I’ve written. Camelbak? What’s wrong with a water bottle? Knee pads? Pah… Consumerism for people who can’t ride their bikes properly. And, my drawers are stuffed full with every single piece of technical clothing imaginable. I appreciate the comfort that the right choice of clothing brings when the weather is at the extremes of the spectrum. I like having layers that I can add or remove, dependent on changing conditions on long rides. Let’s face it, we live in the UK. 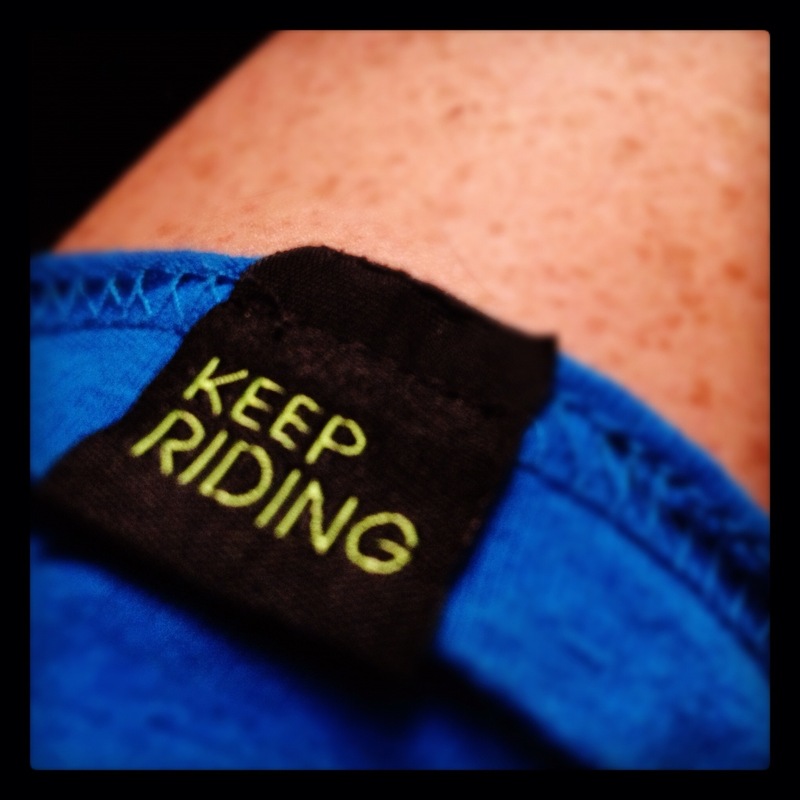 The correct clothing often means the difference between deep discomfort and a fun ride. Perhaps that is why it was so refreshing to be sitting in the pub a few hours later, with my t-shirt still stuck to my back. Laughing with friends, watching the last of the warm sun drop below the horizon.